The H&H Group, demonstrates continued strengthening of its position in a competitive market place as it announces its six months results to the end of December 2014 showing Market Share, Profits and Assets Rising while Group Borrowing Lowers. On a lower turnover of £7.1 million, its profits before tax are slightly higher at £839,000, compared to the previous year’s £822,000. Net assets rose to £16.741 million, and as a result of exiting the motor finance business in March 2014, there was a reduction in borrowing in the year of £4.7 million. “The transfer of our finance business to the Cumberland Building Society in March 2014 has allowed for a dramatic drop in gearing, with borrowing requirements continuing to drop in future years as the loan book is collected in. “Overall these results continue to demonstrate the robustness of the Group’s portfolio of businesses based around the heritage of our livestock auctioneering business”. The Group’s profit before tax of £839,000 for the 6 months to 31 December 2014 showed no exceptional items on the slightly reduced turnover of £7.1 million. Whilst profit before tax is very similar to last year, this is after our withdrawal from the motor finance business in March last year which has allowed us to reduce our borrowing at the end of January by £4.7 million since June 2014. H&H Insurance Brokers has continued to develop its rural and commercial portfolio in a very competitive market for insurance with little increase being seen in premiums. The launch of in-Livestock, a specialist livestock insurance product has gone well, with the brand gaining market share. H&H Land and Property has seen a continued growth in professional work, and H&H Reeds Printers is continuing to develop its customer base across a wider geographical area. 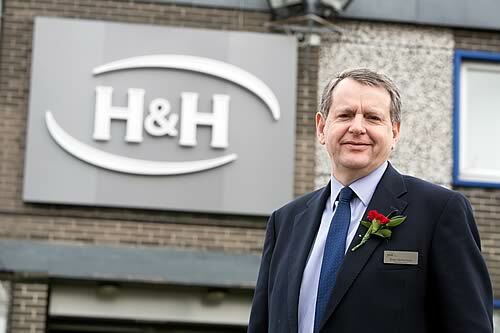 As it announces its interim results, the company also confirms that the H&H Group PLC remain in discussion with John Swan & Son PLC about a possible takeover. However, it continues to emphasise that whilst talks continue, there is no certainty they will lead to an offer being made for the John Swan business. Have You a Voice and the Skills to Pick up a Gavel?